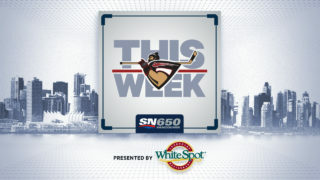 The month of November has arrived for the Vancouver Giants who return to action tonight at home against their B.C. Division rivals, the Kamloops Blazers. 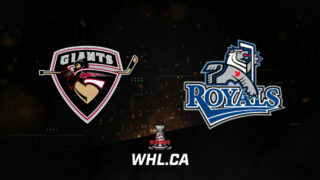 So far on their home stand the Giants have gone 2-1-1-0 and come into tonight’s game with a six-point lead in the B.C. Division standings and a four-point lead in the Western Conference. Tonight though they’re facing a Kamloops Blazers club that has gone five straight games without a regulation loss. Blazers General Manager Matt Bardsley’s first trade has paid enormous dividends early on. 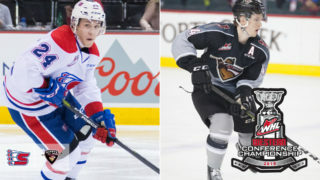 On July 31st he acquired 1999-born forward Zane Franklin and a fourth-round pick from the Lethbridge Hurricanes in exchange for 2000-born forward Jackson Shepard. All Franklin has done since joining the Blazers is net 11 goals along with five assists for 16 points which leads the team. Franklin has five goals over his past five games, including one of the Blazers two goals in last night’s game against Brandon. 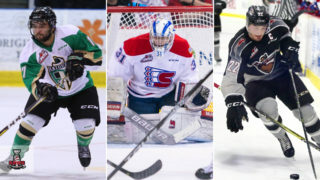 Dallas Stars prospect Jermaine Loewen has made a massive impact since he returned to the Blazers lineup from a four-game suspension. Over the past four games, Loewen has managed four goals and three assists for seven points and a +8 rating. Coming into tonight Loewen has potted six goals along with four assists for 10 points. Last season against the Giants, Loewen had seven goals along with four assists for 11 points in eight games. 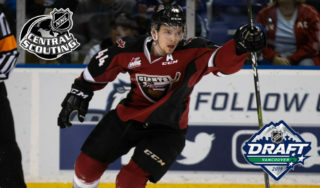 Luc Smith loves to face the Vancouver Giants. The 20-year-old had two goals against the G-Men back on October 12th and had five goals and five assists against them during the 2017-18 season. After a slow start to the season, Smith has four goals and four assists for eight points in 14 games so far in 2018-19. Last Game: A 3-2 shootout victory over the Brandon Wheat Kings on Sunday, October 28th. Tonight marks the Giants debut for 2000-born forward Tristen Nielsen who earlier this week was acquired in a trade with the Calgary Hitmen. Nielsen was drafted by Calgary 20th overall in the 2015 WHL Bantam Draft and is looking to make the most of his fresh start in the WHL. Last season with Calgary he had 19 goals along with 16 assists for 35 points. He hasn’t played a game since October 14th. Calgary Flames prospect Milos Roman brings a three-game point streak into tonight’s game against Kamloops. Last Sunday against Brandon the 1999-born Slovak had a goal and an assist in the 3-2 shootout win for the Giants. Over the course of the past three games he’s notched two goals and two assists. Last season Roman had two goals and six assists for eight points against the Kamloops Blazers. 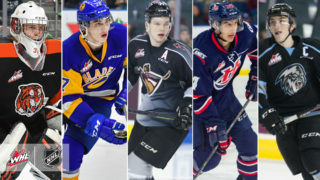 Defenceman Bowen Byram and goaltender David Tendeck are off to Kamloops tomorrow to to join their Team WHL teammates ahead of the 2018 CIBC Canada Russia Series that takes place Monday in Kamloops and Tuesday in Langley. Byram comes into the weekend with five goals and eight assists for 13 points while David Tendeck has put forth a record of 7-3-1-0 with a shutout, a 2.45 goals-against-average and a .900 save percentage. Tendeck is looking to snag his first victory since October 16th against Swift Current.